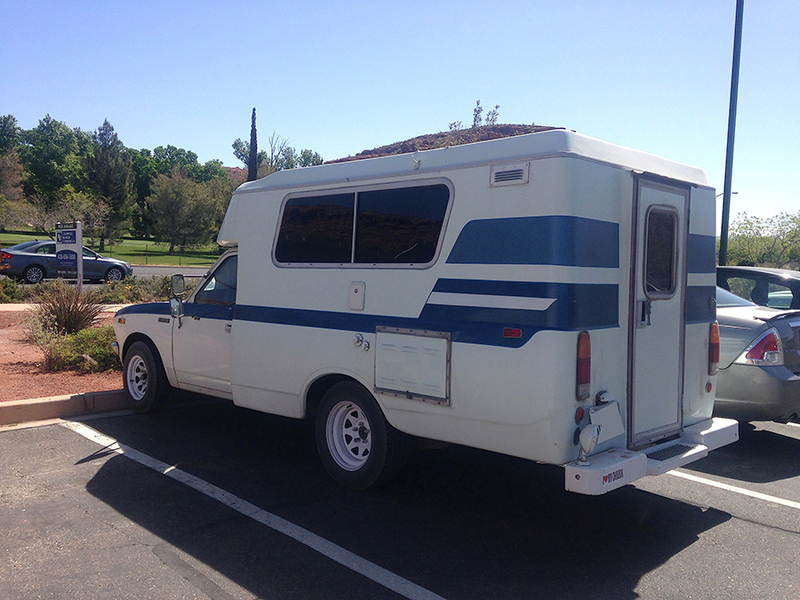 When we went to breakfast at The Egg and I a few months ago, I saw this awesome tiny motorhome. It’s a Chinook and a highly efficient one. The cab is perfectly sized for exactly two people and they have to be short and physically fit people. 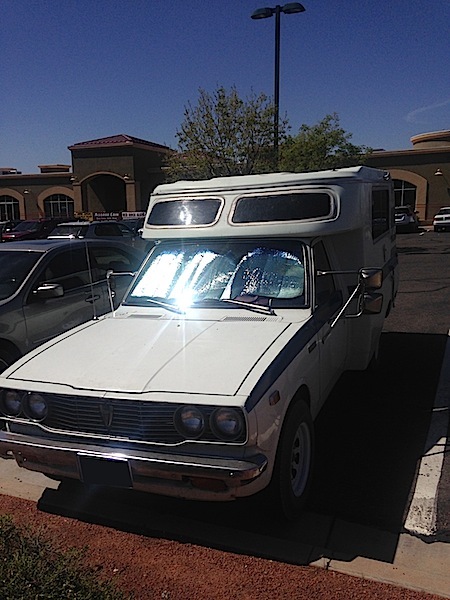 The summer sun in St. George is oppressive, but we were in the winter, so I don’t know exactly why they had a shade up unless it was for privacy in the camper. 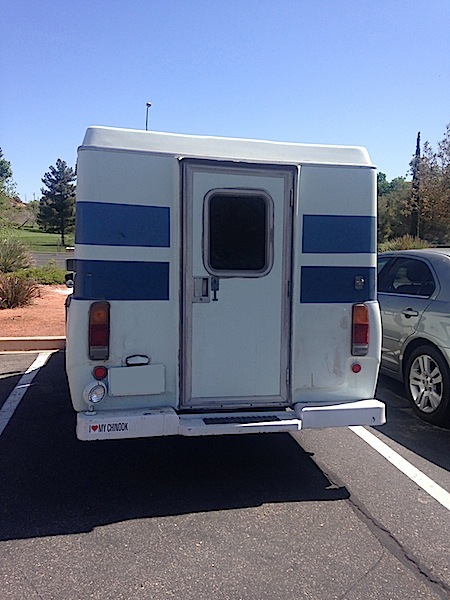 I’m so used to seeing the doors of campers and motorhomes on the passenger side of the vehicle that I was surprised by this because the door was at the rear. We never saw the owners of the camper, but I would have loved to talk to them and loved to see the interior even more. 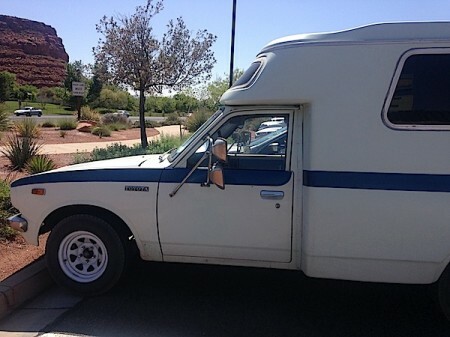 The camper was only slightly longer than the typical car, but I’m sure there was room for two to sleep. I wish I could have seen more of this camper, but in the end, it continued on its journey without us.